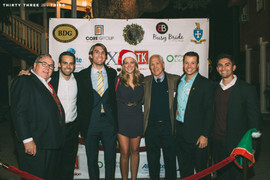 Welcome to the Orlando Alumni Chapter (OAC) of Sigma Chi’s website. OAC is made up of Sigs from all over the world, actively recruiting and accepting brothers from ANY and ALL undergraduate chapters. 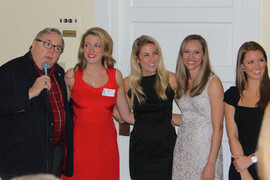 Whether this is your first time visiting OAC’s website or you are a seasoned veteran, please take the time to explore - look at photos from recent and past events, check out our events calendar and its interactive RSVP feature, pay your dues online, and most importantly, create and maintain your Online Profile. 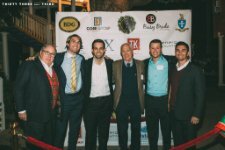 To join our database, take a moment to update your profile on SigmaChi.com (it's easy to register if you've never logged on). Once you update your profile ADD Orlando Alumni Chapter to your list of Chapters and you will begin receiving our updates! Whatever it is your'e looking for, You'll Find it Here! As our fraternity strives to promote friendship, justice, and learning as the exemplification of our brotherhood and inspires a lifelong commitment to serve our families, friends, and the communities in which we live and work, so is the goal of The Orlando Sigma Chi Alumni Chapter. If you're a Sig and you're interested in community involvement, undergraduate involvement, philanthropic service, personal and professional development or social interaction, get involved today! OAC has an exciting year planned for 2015, and we look forward to your being a part of it. We always welcome your feedback, suggestions and of course, your commitment – remember, as in every chapter, the BEST brother is an ACTIVE brother.